This month's review for Carlton Books is a pair of books unlike any we've ever covered before - and they are a real hit! We've been sent 2 new Minecraft STEM Challenge books - Build A City and Build A Theme Park. 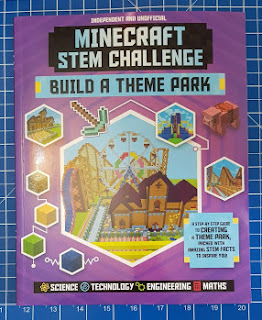 These are exactly as they sound, books which will show your child how to complete some really complex projects within the game of Minecraft. My boys love science and challenges, and STEM activities are something I actively encourage. 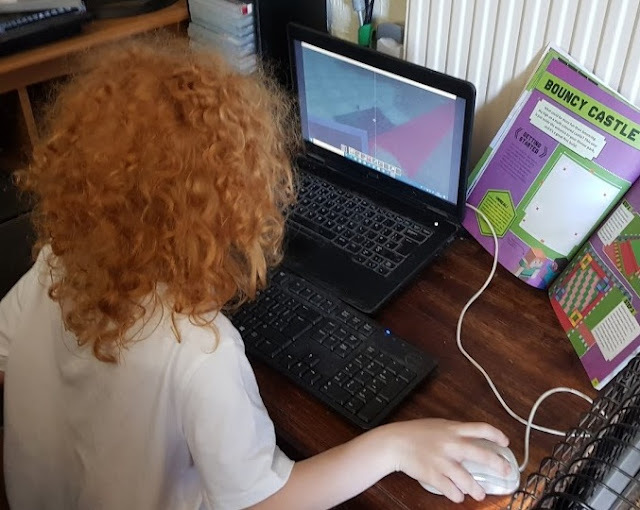 Minecraft has been popular in our household since it was very first released and my eldest son played it. 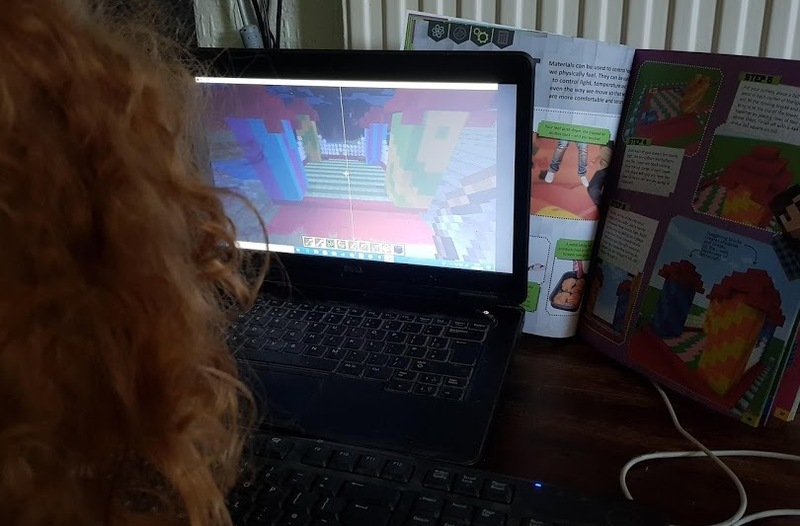 Since then all of our children have played, and as it's our policy that we should understand what they're up to online, we've also had a go. I showed my 8 and 9 year old boys the books and they both chose one, then swapped, so were both excited by both books. I've never seen them both get into a project so quickly, and within minutes they had both chosen and made a good start on a project build. My 8 year old chose to make a Bouncy Castle. He's no novice, but the speed he built it really impressed me. He's never built on a computer using a book before, and he had absolutely no issues . The instructions are incredibly clear and it took just over half an hour before we had a fully functioning Bouncy Castle and the beginnings of a Ferris Wheel, plus a recognisable ground floor for the Skyscraper. Both boys are excited by these projects and keen to carry on. They've both an enormous sense of pride in what they are building and haven't been frustrated at all. 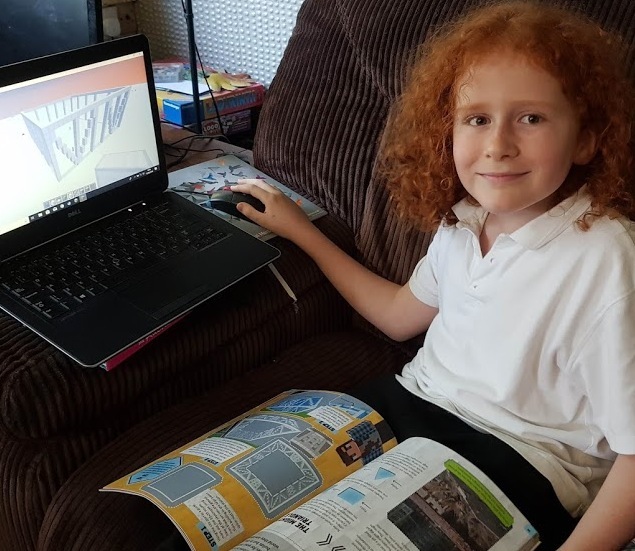 Minecraft teaches children about how things are constructed, right from digging up stone and chopping wood and 'glass is made from sand', through to complex 20 storey high engineering projects. 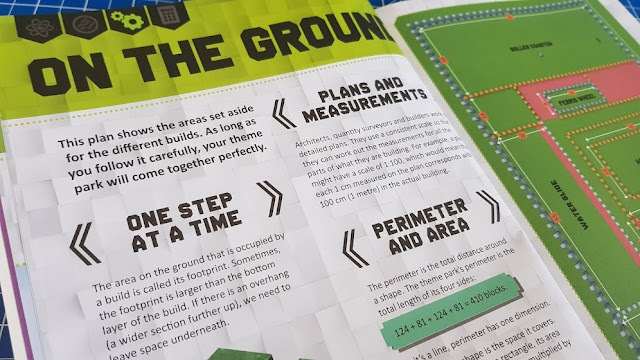 It's full of maths and reading, logic and problem-solving, and these books also cover some of the basics to help children understand what they are doing and why. 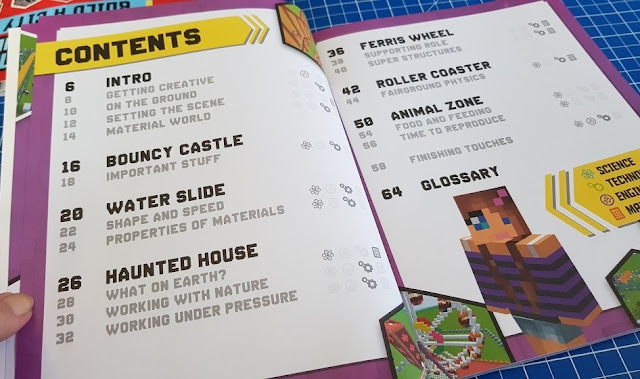 The Build A City book isn't any less exciting than the Theme Park, with an amazing design full of interesting buildings and facilities for the Steves living there. 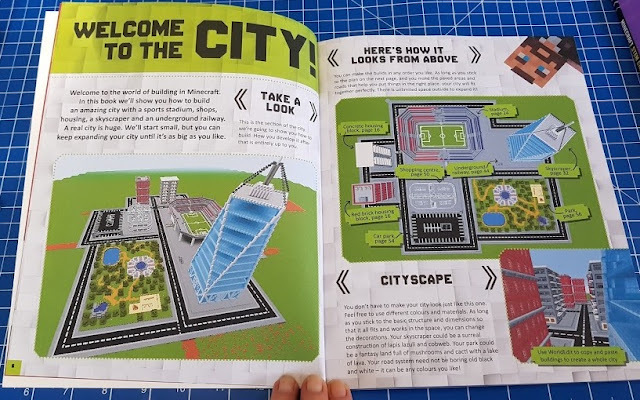 The Skyscraper is actually gorgeous, and my 9 year old is very proud of it. It's a huge building which really seems to attract wandering characters and still has loads of scope for my son to personalise it and use his newly learned tricks and skills. 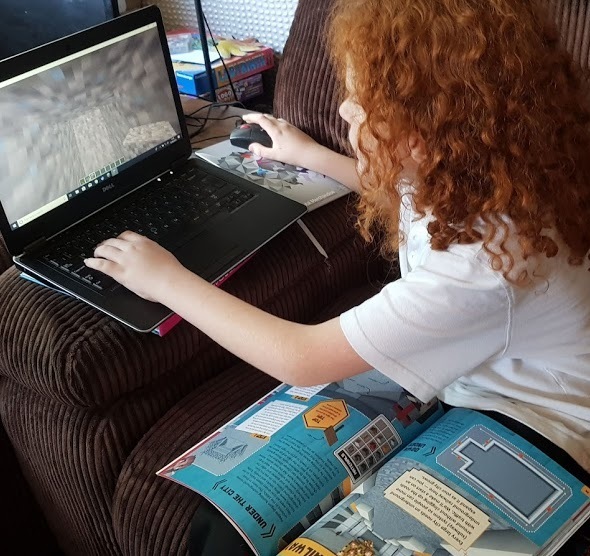 The Minecraft STEM books are really clear, bold and colourful, and begin with some basics of building, so even a relative novice can follow them, and whatever stage you are at, you'll be able to pick up hints and advice. 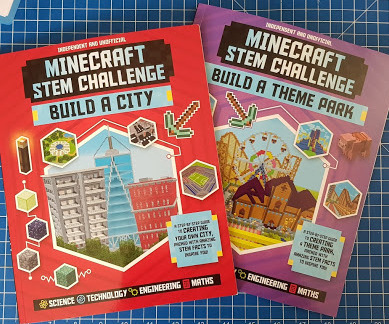 The Minecraft STEM Challenge Books from Carlton Books are available now. Glossy paperback in a large A4 format with 64 pages, rrp £8.99 each. Excellent value for any Minecraft player who wants to make great things and has little idea of how to start. You can buy from bookstores instore and online, including direct from Carlton Books. 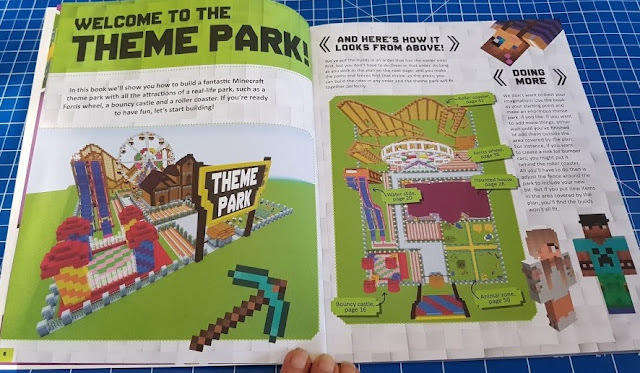 Minecraft STEM Challenge: Build A Theme Park. 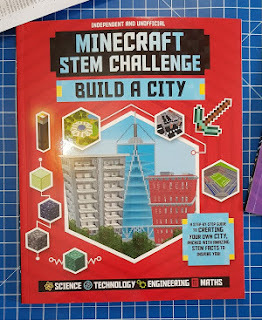 We were sent our Minecraft STEM Challenge books for review.